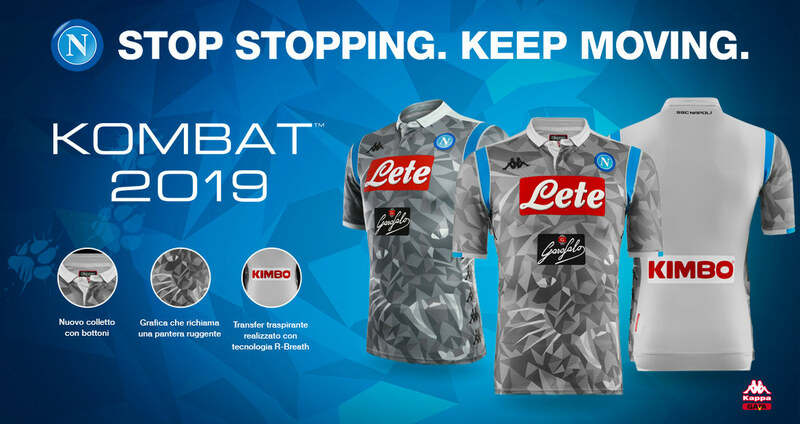 The new Napoli third kit has been released ahead of the friendly against Wolfsburg today, revealing an unusual design that shares its base template with both home and away. 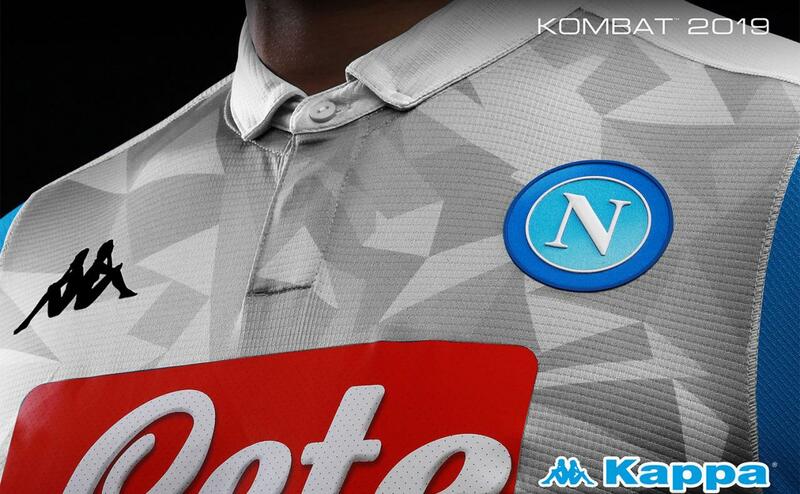 Made by Kappa, the new Napoli third jersey is light grey with the same geometrical pattern as the aforementioned home and away shirts, applies in a more visible way. The back is solid colored. 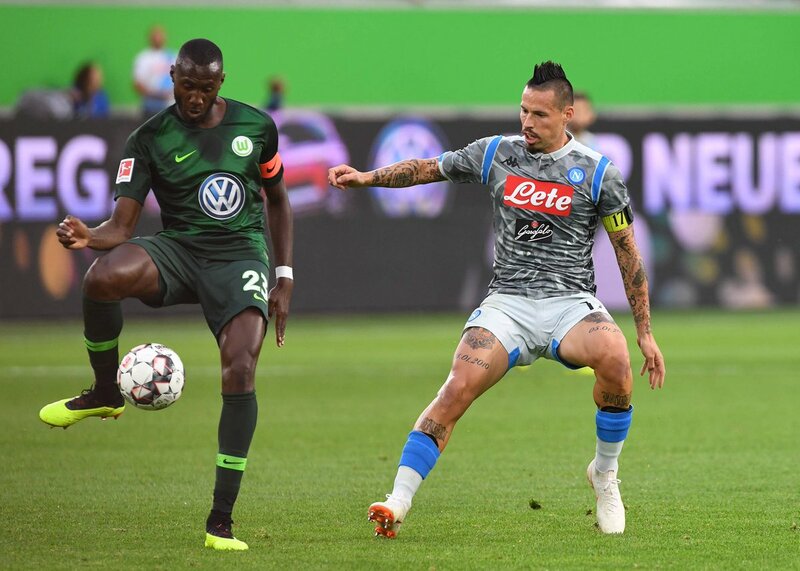 The buttoned polo collar of the new SSC Napoli 18-19 third shirt is light grey, as is part of the sleeve cuffs. Finally, sky blue trim around the shoulders and on the sleeve cuffs round off the look. 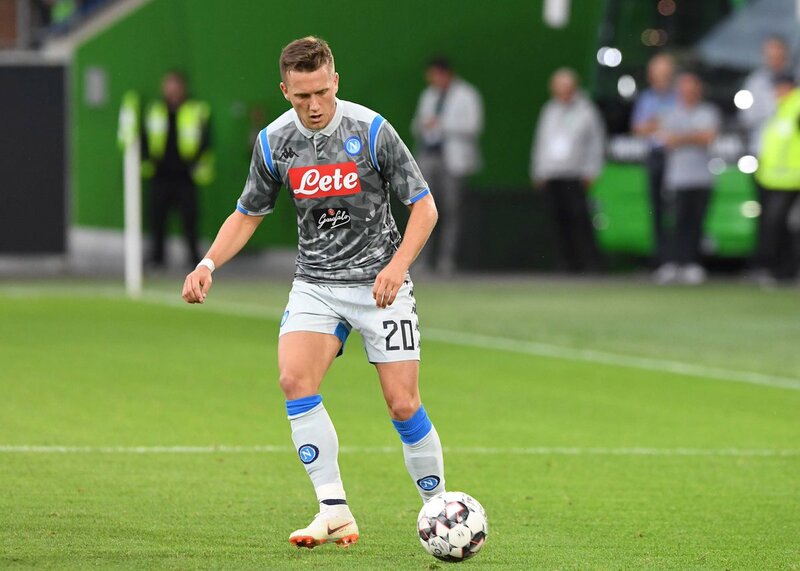 Light grey shorts and socks complete the new Napoli third kit.